It is becoming increasingly clear that the nightmare identified by President Eisenhower in his Farewell Address (17 Jan 1961) to the nation has arrived. It is also now clear that President Obama, like all his predecessors since President Eisenhower, has been captured by the MICC. Indeed, Mr. Obama is leaving the next President with a defense budget plan that contains long term spending commitments that are being wired to explode in size during the next decade. The latest defense budget time bomb, like it predecessors is not accident. The Pentagon and its allies in the Defense Industry have assiduously planted the seed money for new huge bow wave of modernization programs that will replace existing weapons with more expensive weapons, that once the inevitable cost growth and schedule slippages set in, that will not be produced in enough quantities to replace existing weapons on a one for one basis. This will result in another round of equipment aging, pressure to reduce readiness, and force shrines, just like preceding cycles of 'modernization' -- and at higher budgets! While bow waves of future modernization expenditures have existed continuously since at least since the end of the Viet Nam War, they wax and wane in size and degree of budgetary pressure. 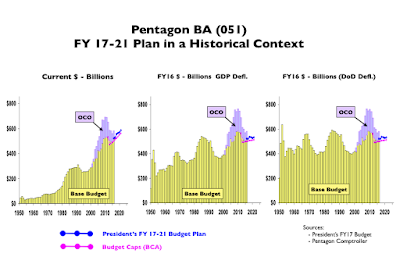 Obama’s bow wave can be thought of as the third wave of much higher than normal pressure, and it has created a budgetary time bomb is poised to explode from a much higher budgetary floor than its two predecessors, as can be seen in the next chart. The dynamics of the bow wave have created a boom and bust pattern to defense spending that is superimposed on a long term trend of budget growth. This also can be seen in the following budget chart, regardless of how one accounts for inflation. The reasons for the boom and bust pattern lie in habitual modes of bureaucratic/industrial/political behaviour that evolved insensibly though trial and error during the 40 years of Cold War. These patterns had become so deeply entrenched by 1990 that they spilled over to shape decision-making behaviour throughout the post cold war era, notwithstanding the clear fact that the threat justifying these expenditures had vanished. Now the MICC is faced with the problem of justifying the even greater expenditures of the next spending boom -- and it is no accident, that we are now sowing the seeds of new cold wars with Russia and China. Put another way, the budgetary tail is wagging the foreign policy dog. 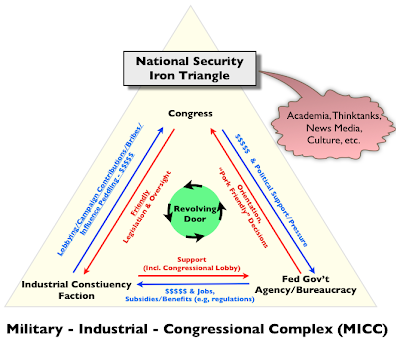 This page compiles a series of occasional postings addressing differing aspects of the relationship of the bow wave to the boom and bust patterns of defense spending, and how they combine to produce a Defense Death Spiral together with the perpetual underfunding of defense plans. This story is complex, with many moving parts. 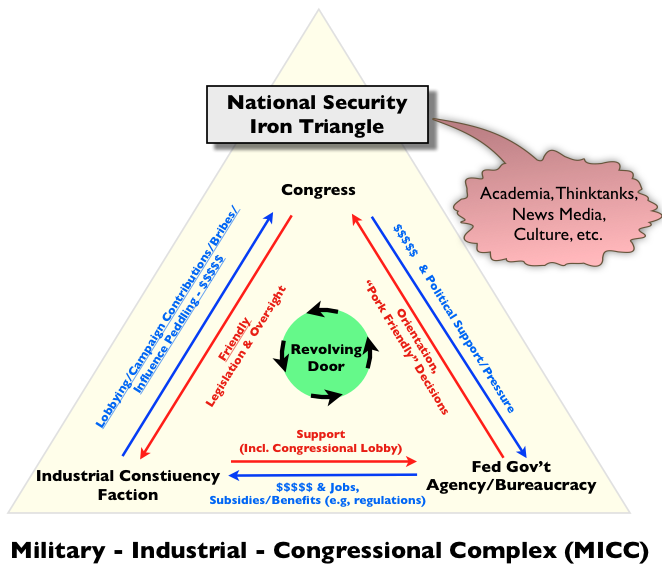 My hope is to provide a corpus of analyses and information in bite size chunks that will help interested readers understand how these parts fit together and why the defense budget is spinning out of control to such a degree that it has created a dysfunctional perpetual zero-sum war between social programs, including infrastructure, and the MICC. Here is a listing of the series to date.